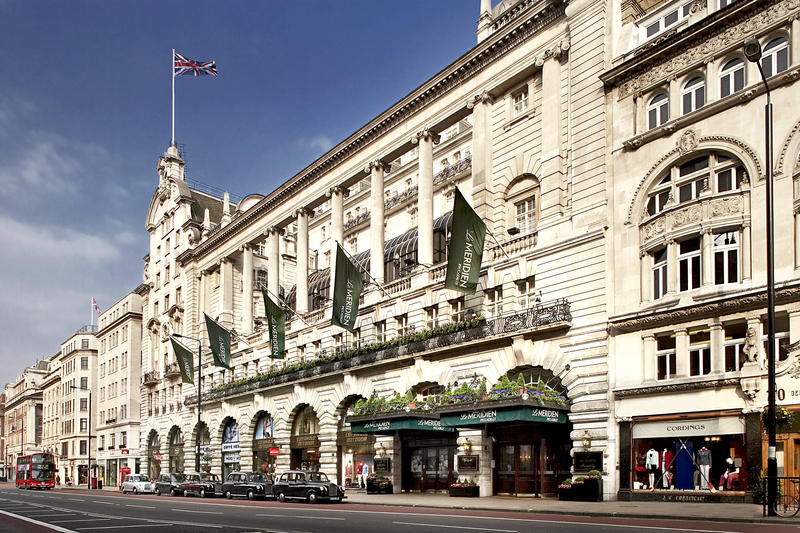 Set in the heart of London West End, Le Meridien Piccadilly is well-established in its vibrant cultural surroundings. After the Restoration of the English monarchy in 1660, Piccadilly emerged as one of the most fashionable and wealthy locales in London. Discover the rich history and refined elegance of London at Le Meridien Piccadilly.Regardless of whether your event is a business conference, wedding, or product launch, the hotel provides exceptionally sophisticated meeting facilities and banqueting suites. Experience the true epitome of relaxation at the Piccadilly Health Club, as you ease your tensions in our invigorating Jacuzzi, or lounge beside the tranquil waters of one of London largest indoor swimming pools. Enjoy the time-honored English tradition of afternoon tea at the Oak Room Lounge, or savor gourmet cuisine at the Terrace Restaurant and Bar.The celebrated sites of London are just minutes away from the hotel, including the illuminated Piccadilly Circus, lively Leicester Square, and stunning Covent Garden. Continue your discovery of London as you stride out of our doors and onto the Piccadilly Line of the London Underground. Unforgettable memories and incomparable experiences await you at Le Meridien Piccadilly.